Is American Testing Trigger Marketing Emails? A couple of weeks ago, I was thinking about a mileage run just to try to get back into the ranks of AAdvantage Platinum (mostly because upgrade percentages for Gold are pretty low out of DFW). I was considering a one day run to San Francisco on December 4th so that I could take advantage of the double elite qualifying miles promotion that American is offering on that route. But I decided against it when I found out that my nephew was having his fifth birthday that weekend. I put reservations on hold all the time when I’m planning travel, so while I as kicking around the idea of a mileage run, I priced out a ticket and put a reservation on hold. After I changed my mind, I just let it expire. It looks like they’re testing some trigger marketing technologies, which I think is kind of exciting. Trigger marketing tools allow a person to define an action or set of actions that are executed when a specific event occurs. Why I was excited by the email is that some of the trigger marketing systems that would allow them to send a follow up email to an expired reservation could also be used to provide users with other kinds of notifications. I know that I can already go to AA.com and sign up for fare alerts, but other than creating a notification profile for a city pair (like maybe DFW to LGA), I can’t do much else. For a long time I’ve wished that American offered a fare tracking tool similar to Kayak’s. It would be great if it was possible to create a fare alert on a particular route by specific dates and prices (an example would be creating an alert so that I’d receive an email if the Dallas to Montreal fare drops below $500 during August). Something else I’d like to see: an alert so that a user is notified anytime the fare for a flight on a specific route drops below a defined price (such as letting me know anytime the fare from DFW to Hong Kong drops below $999). Have you received a similar email after a reservation expired? Do you think that a more sophisticated fare alert system would be useful? Add your comments. No such luck. Been holding a lot of bookings on AA.com recently! Yes! I signed up for a Platinum Challenge the day that AA announced the Chapter 11 filing. In the days after that I plotted out several possible mileage runs and trips in addition to those I had already booked. Those first few days there were fare sales and new offers each day, so I was holding flights and then verifying if the fare had gone down the next day before booking. In most cases it had, BTW. Some of the holds I let go and did get similar emails. A more sophisticated fare system would be helpful. @ Linda – I put reservations on hold all the time too. Trying to guess whether fares will go up or go down is more frustrating that predicting the stock market. How are you doing with your Platinum Challenge? Will you make it? I, too, was looking to do a MR ORD-SFO, but let the hold expire because plans changed and received a similar email. I agree it is exciting, because this baby step may lead to similar wishes: fare tracking and fair alerts. @ Phil – I hope so! Thanks for the response. I already have booked the flights to give me enough points to make it. However, I live in a part of the country where flights are often cancelled and I connect through ORD all the time. So, if any of my flight legs are cancelled, I’ll have to retabulate the points. So I may need to do one last trip at the end of the three months if that happens (hopefully not). I am trying to figure out if strategically this was the wisest time to do a challenge or not. I am Gold but have been Platinum in the past and miss it:( My thinking was that right after the Chapter 11 filing, the flight prices would dip, and so it might be a good time to capitalize on that situation. In addition, if there is a merger or a buy out of AA, my new status would transfer over. The whole thing is obviously somewhat of a gamble anyway. I also transferred 40,000 Starwood points to 50,000 miles on Nov. 30 right before the announcement, so I was already in a ‘throw caution to the wind’ mode. I hope the winter is mild as predicted and I get my status change by the end of Feb. I think you picked a good time to take the Platinum Challenge. 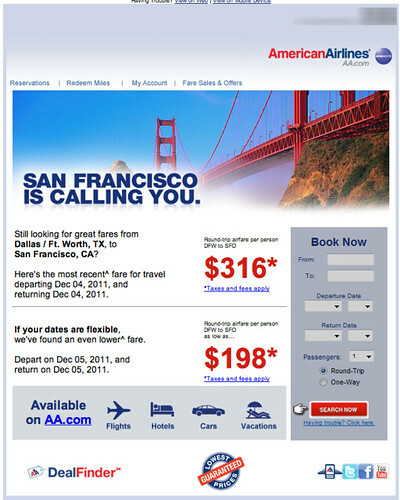 Just this evening (see tomorrow’s post:) American announced a double elite qualifying miles promotion. And while that might not be helpful to you, it’s an indication that you’re probably right about the Chapter 11 and that we’ll see some big fare sales also. Good luck earning Platinum and keep me posted!